Welcome home to this cozy, but spacious 3 bedroom main floor! Your suite boasts hardwood laminate flooring throughout with ceramic flooring in the kitchen. Your big, bright windows allow the maximum amount of sun to shine through! Separate front entrance with dramatic feature nook is sure to impress!! 3 spacious bedrooms for you to spread out in! 6 appliances including washer, dryer, fridge, oven/stove, dishwasher and microwave. Relax in your solarium with free standing gas stove, vaulted ceiling and skylights. Master bedroom has a 3 piece ensuite bathroom. Private, separate main floor laundry room. Double car detached garage. Private yard. And steps away to the gorgeous Ravine! 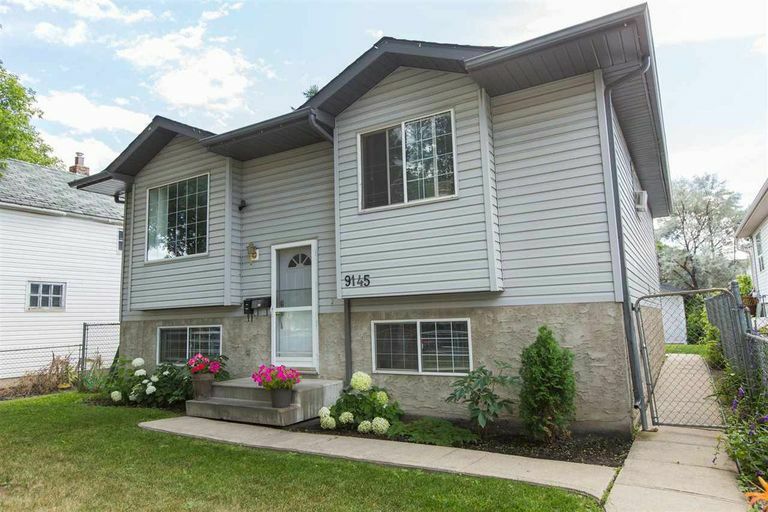 Minutes to the University of Alberta's Faculty St. Jean. Just off Whyte (82nd) Avenue. Close to ALL major amenities. Available Now!Don't miss out!! Call 780-701-7400 to book your appointment to view your new home today! !